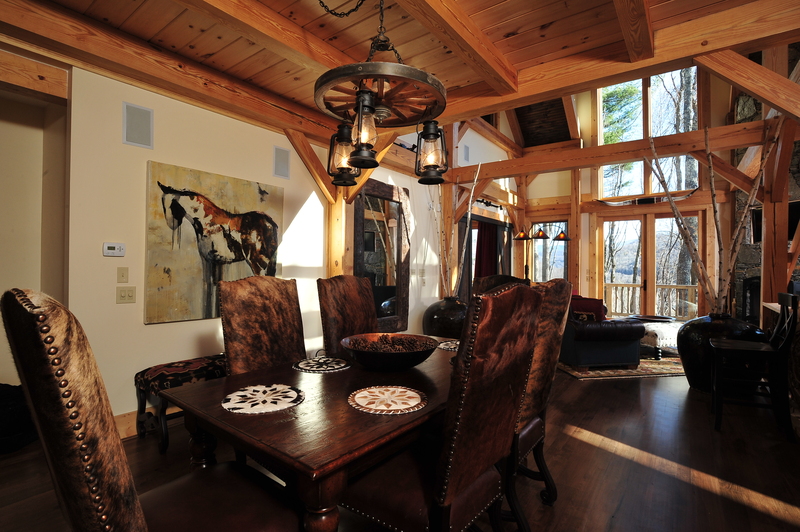 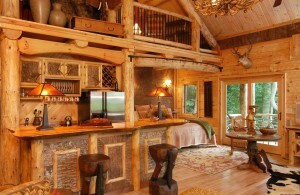 The Running Waters Lodge is a gorgeous rustic home on almost 3 acres with beautiful southwestern mountain views. 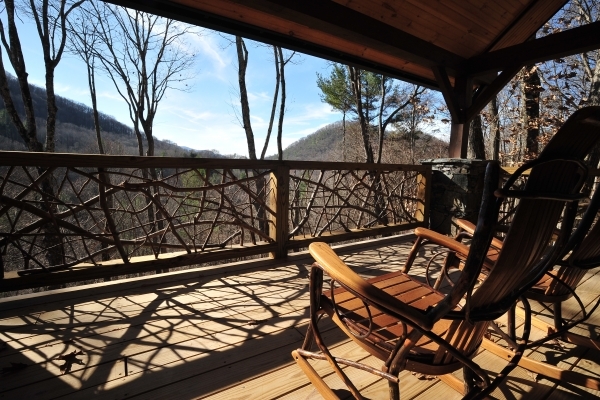 Aptly named, the property has a creek meandering through it, and guests relax on the deck to the sound of the Running Waters. 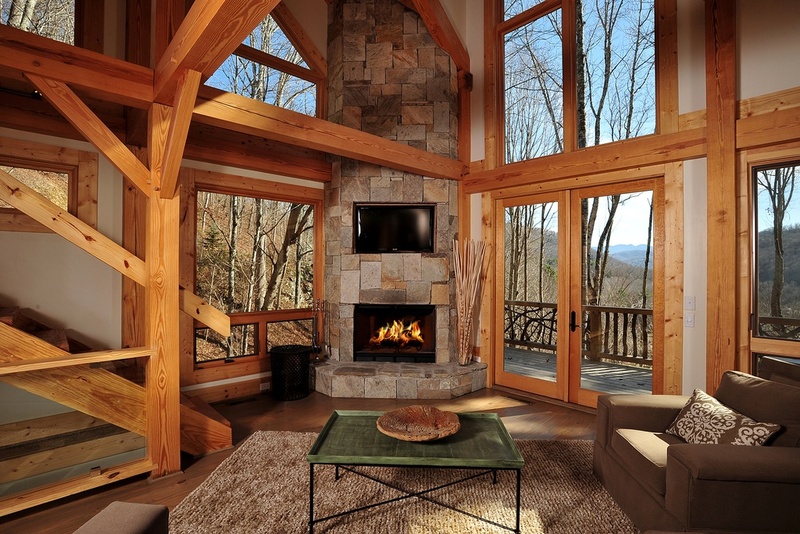 You will truly never want to leave! 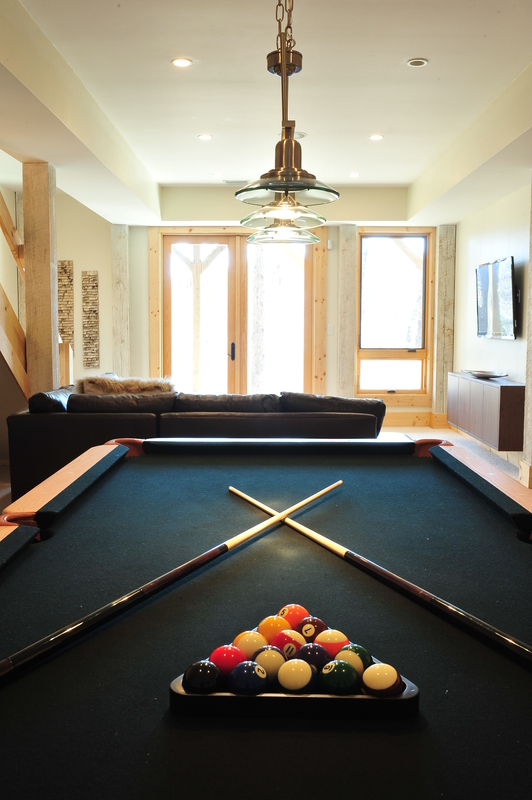 The Modern Cedar Rock Townhome is a custom-designed home boasting four master suites spanning three levels, a spacious great room with a floor-to-ceiling wood-burning stone fireplace, open kitchen and dining area, and downstairs den with billiards. The home also features floor-to-ceiling windows from the main living area out to the expansive deck, featuring sunrise views of Grandfather Mountain. 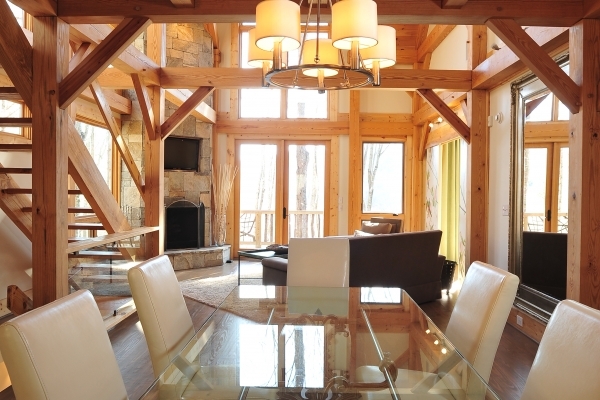 It has a contemporary and sleek feel with luxury furnishings and is ideal for a large family’s mountain getaway or for a few families to rent together. 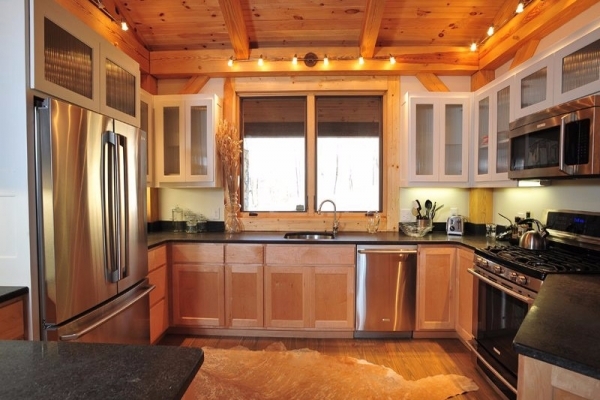 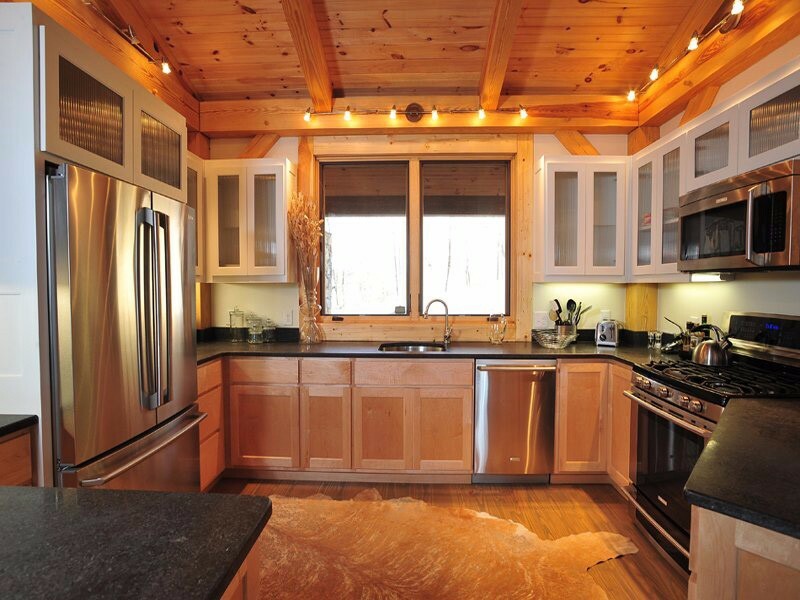 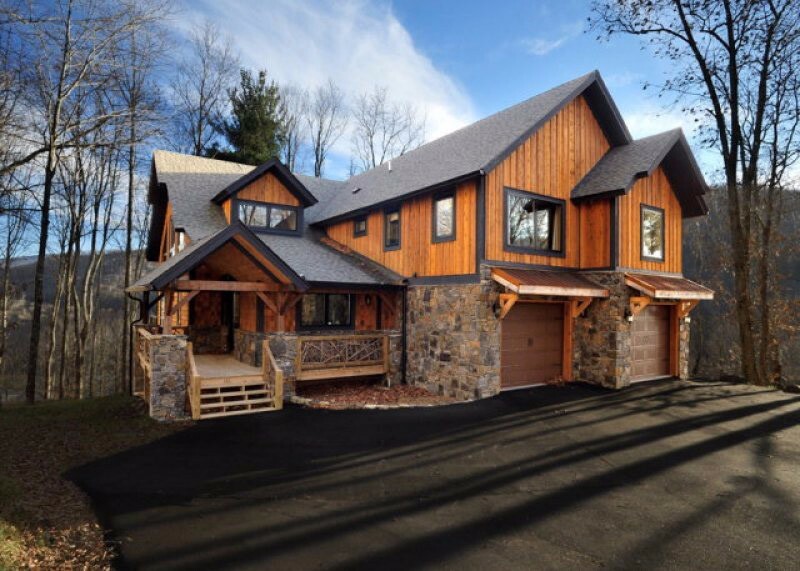 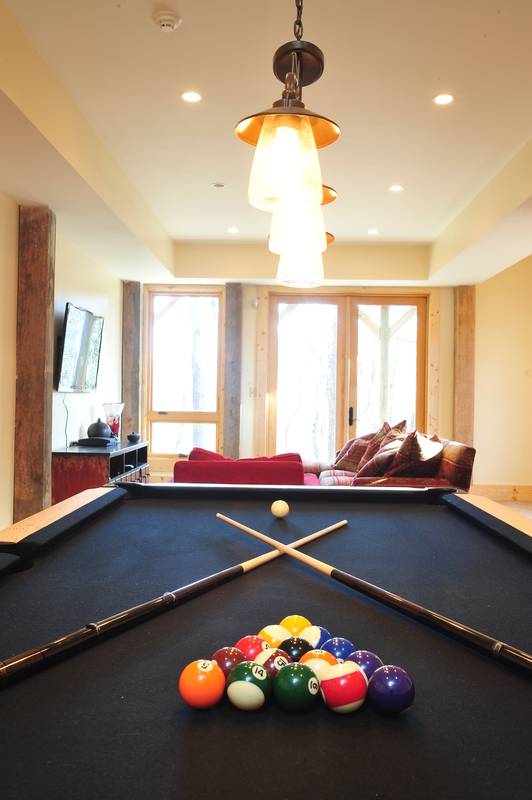 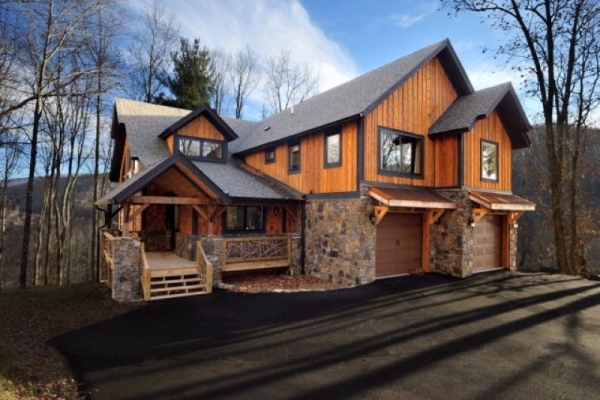 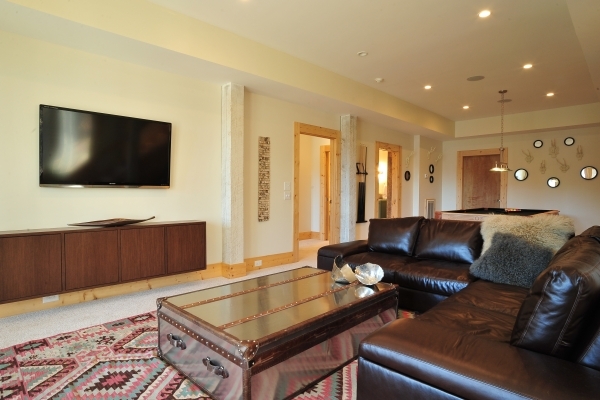 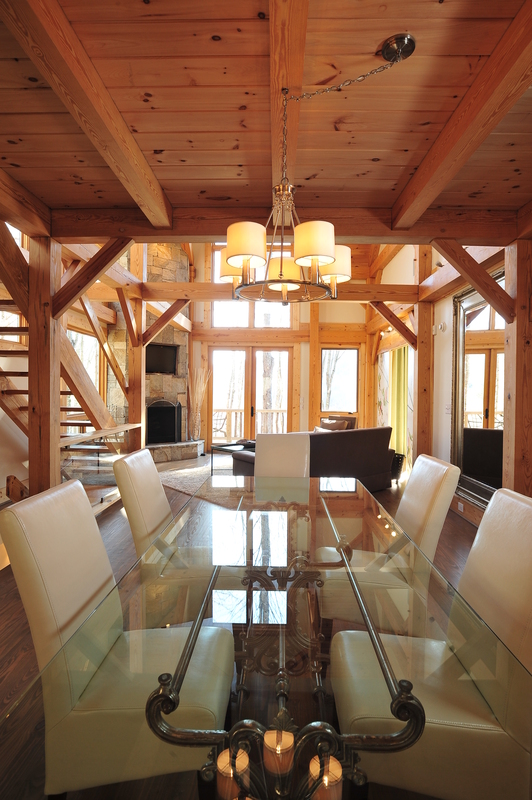 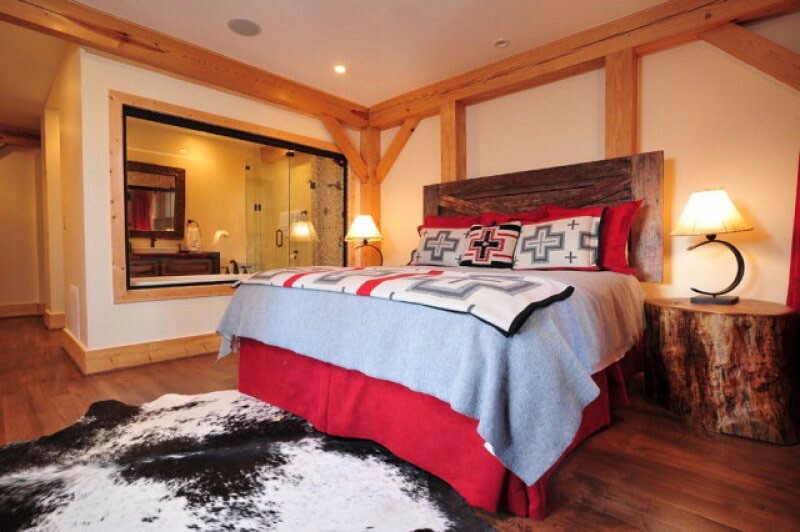 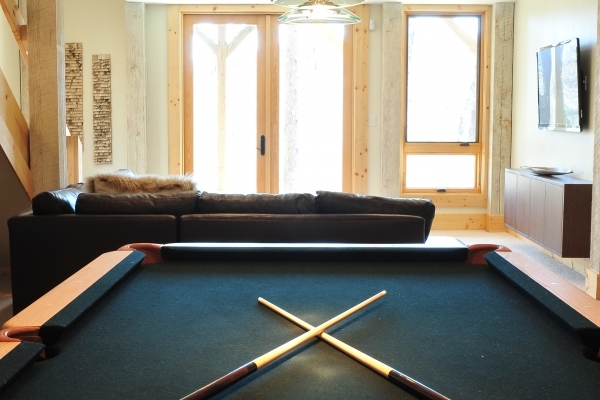 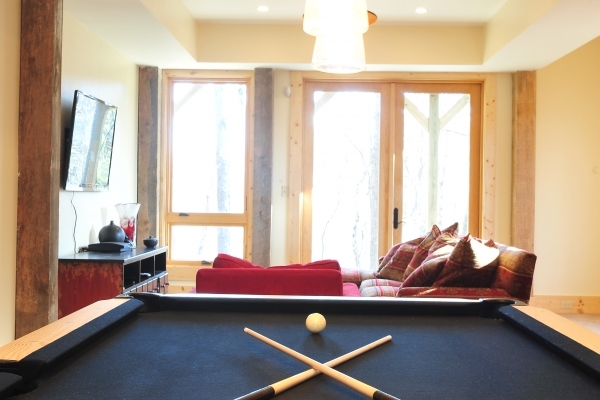 The Rustic Cedar Rock Townhome is a custom-designed home boasting four master suites spanning three levels, a spacious great room with a floor-to-ceiling wood-burning stone fireplace, open kitchen and dining area, and downstairs den with billiards. 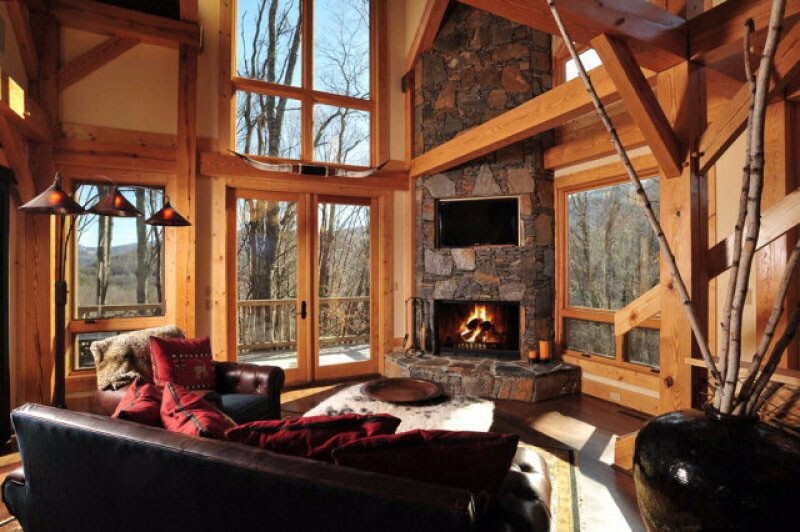 The home also features floor-to-ceiling windows from the main living area out to the expansive deck, featuring sunrise views of Grandfather Mountain and sunset views of Hump Mountain to the southwest. 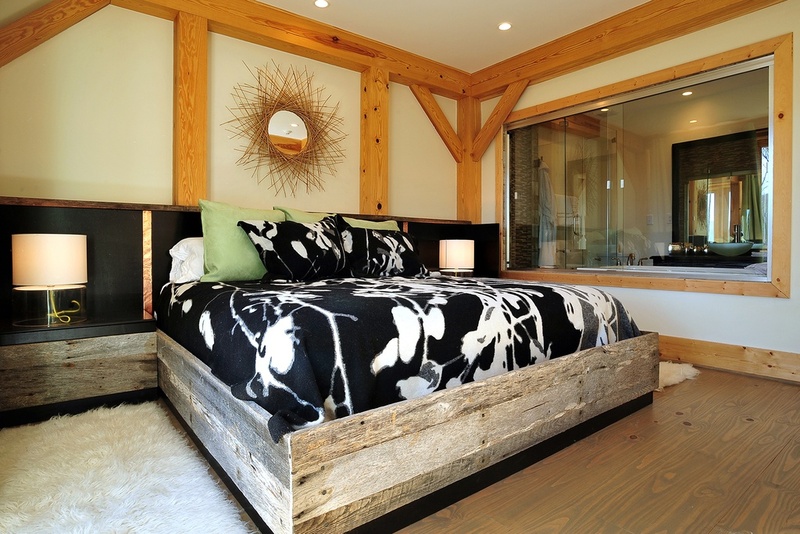 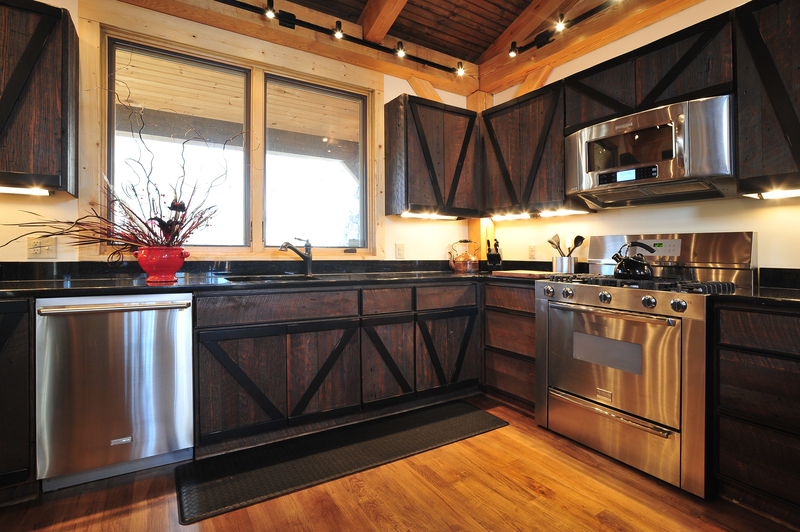 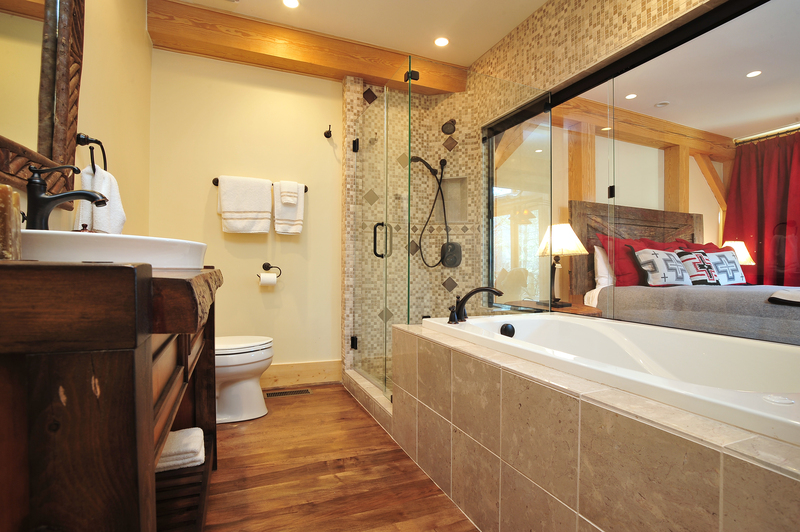 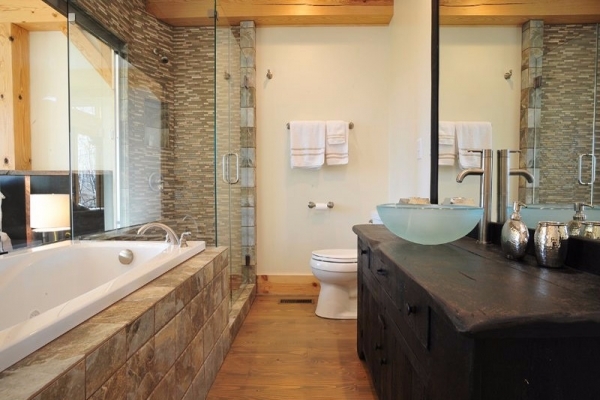 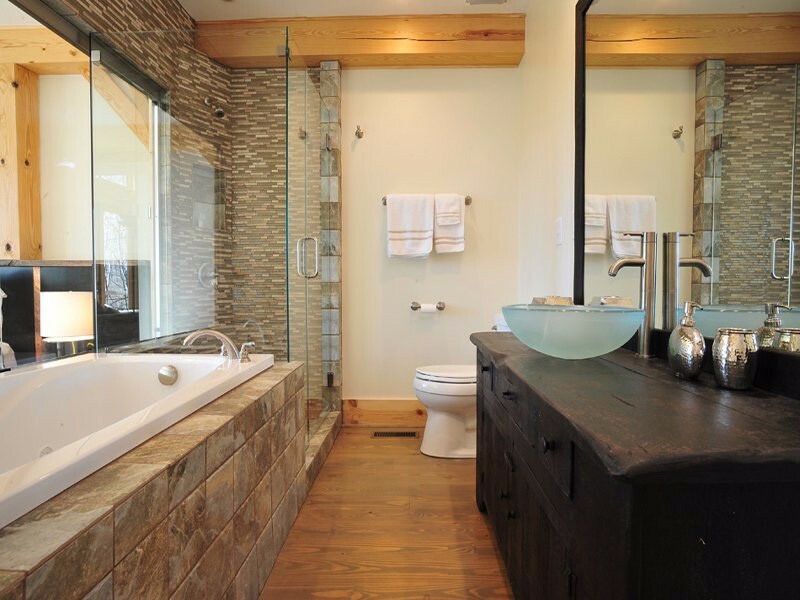 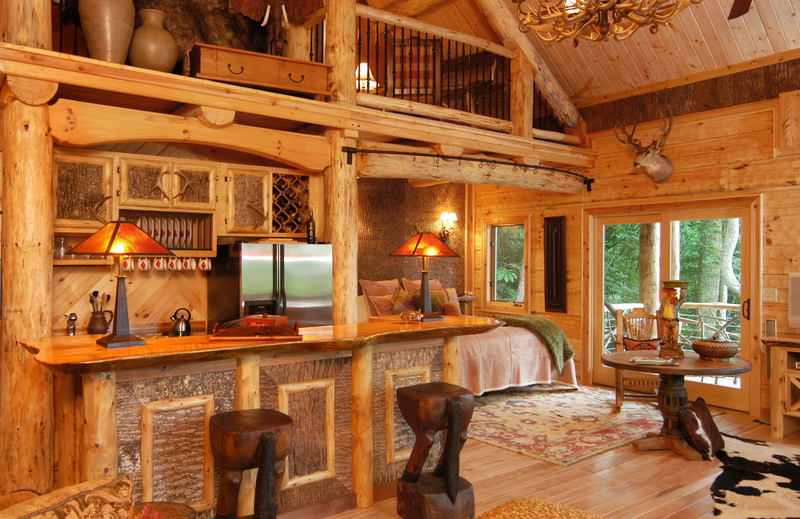 It evokes a rugged and rustic feel and is ideal for a large family’s mountain getaway or for a few families to rent together.